-Up to 5 squadrons (60 various starfighters, transports or shuttlecraft) per bay, with 4 bays. Total compliment could be 20 squadrons/240 starfighters, but this would tactically be mixed with different kinds of starfighters for different missions, with various support ships as well as transports for troops. ?? 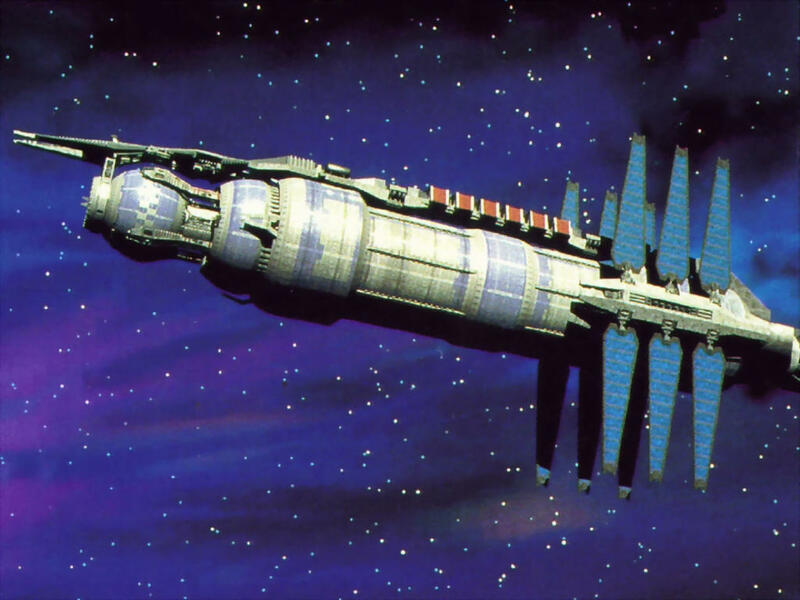 The Galactic-class battle carrier was a capital ship in use by the Galactic Alliance Navy by 40 ABY, designed some point after the end of the Yuuzhan Vong War. ?? 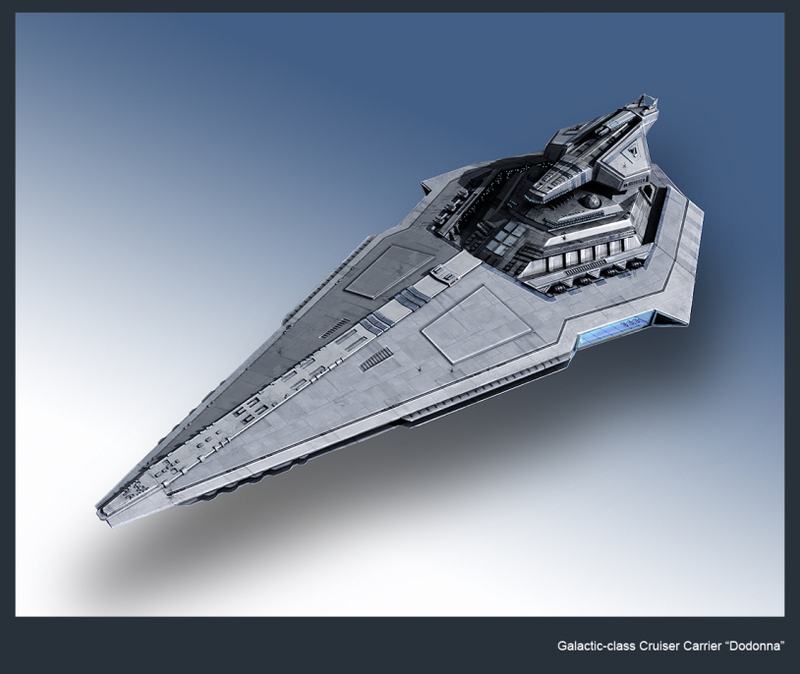 It resembled the Imperial-class Star Destroyer, to which it had been designed as a successor, roughly the same length and with a similar command tower and bridge atop the hull, but it was broader and blunter in shape, and one and a half times the tonnage of the older ships. There appeared to be several hangars on the Galactic-class, with the forward-port-flange starfighter hangar housing four and a half squadrons and being the size of a sports arena. ?? 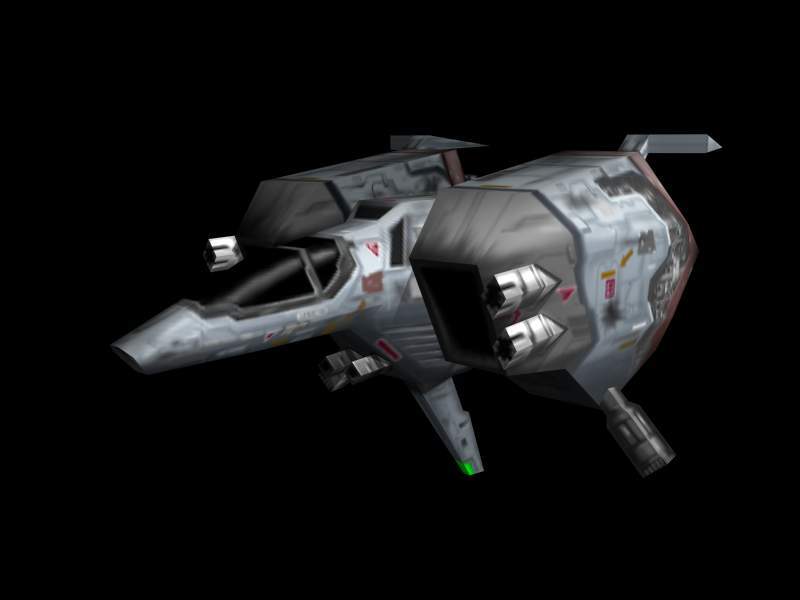 Although it was considered a newer, larger destroyer, the designation "battle carrier" was chosen to avoid reminding people of the old Imperial terror symbols. Moreover, the first ship of the class was called the Dodonna, after Rebel hero Jan Dodonna. ?? 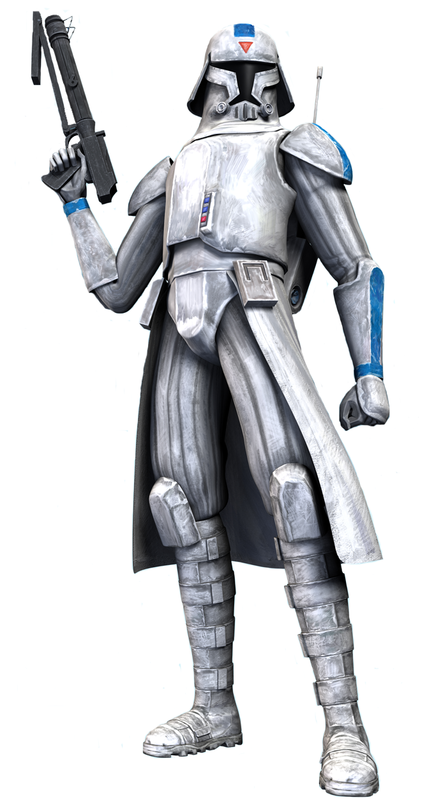 The Galactic-class was said to be in a different size-class than the Strident-class Star Defenders of the Corellian fleet, one of the vessels it faced during the Second Galactic Civil War.